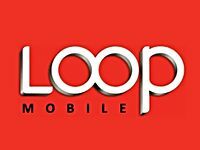 Mumbai’s oldest GSM mobile service operator Loop Mobile (formerly BPL Mobile) today announced the launch of SIMPLY FIFTY new prepaid plan which offer all Local and STD calls at 50 paisa per minute to any mobile phones with in India for its new prepaid subscribers in Mumbai telecom circle. Loop Mobile’s new prepaid subscribers can now enjoy All Local and STD calls to any Mobile Phone across India at just 50 paisa per minute for life time.However all STD calls to Landline Phone will be charged @Rs.1/min. To avail the [email protected] offer new prepaid mobile subscriber need to recharge with SIMPLY FIFTY STVs which cost Rs.25 to Rs.110 and have Life Time validity. Rs.25 Zero Life Time -> All Local Calls to any Mobile and Landline with in Mumbai at 50 paisa/minute. -> All STD calls to any Mobile Phone Across India 50 paisa/minute. -> All STD calls to Landline Phone will be charged at Rs.1 per minute. -> All Local and National SMS @50p. -> ISD and Roaming call charges as per Standard rates. The SIMPLY FIFTY plan Available for Loop Mobile New prepaid subscribers only. The offer available through Etop-up only ATM, Euronet and other Web recharges not applicable. No additional packs or reduces rates vouchers allowed with SIMPLY FIFTY. If any existing subscriber does a recharge of Rs 25/55/110, he wont get the above tariff benefits,he jsut gets normal talktime and 0 days validity. To unsubscribe to lifetime SMS “unsublifetime” to 50505 (Toll Free). The license period for this offer is valid till 30.11.2014. Loop Mobile Life Time Preapid Subscribers need to have minimum one-minute usage in 180 days to continue enjoying the Lifetime benefits. ➡ Since 2008 there is a restriction on Merger & Acquisition from TRAI. Thats the reason smaller companies and non-performing companies are still existent. Once this restriction is lifted there will be lesser number (5-6 ) of companies in each circle. seen the ad ticker of 10ps/min lowest from loop. but here it shows 50ps/min. no mention of 10ps. @ javed. its not 10ps for new customers.